Whenever we hear ‘P.T.’ it reminds us of two things. One is Physical Training at school and the other is P.T. Usha. She was born on 27 June, 1964 and hailing from the town of Payyoli in Kozhikode, Kerala, Pilavullakandi Thekkeparambil Usha is one of the greatest Indian athelete to have ever graced the sport. P.T. Usha might have called it quits from ‘Track and field’ 17 years ago but she will forever remain in our hearts for the fructifying contributions she had done for the welfare of India. P.T. 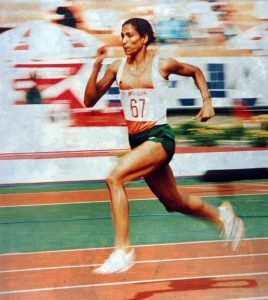 Usha is quite often referred to as “Queen of Indian track and field” and is nicknamed as the Payyoli Express. Gone are the golden days when the 80’s and 90’s kids used to admire P.T. Usha to the core. She is known for the knack of lighting up the track at a blistering pace as she is a potential sprinter by trait. P.T. 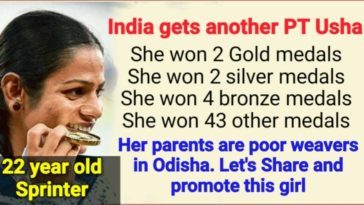 Usha has over 100 international medals to her substance. The ‘Golden Girl got the national recognition during the 1979 National School Games, where she successfully clinched the Individual Championship. P.T. Usha is also the youngest Indian sprinter to enter the Olympic foray, Usha was just 16 when she made her debut at the 1980 Moscow Games. Though she was eliminated, she won our hearts. Picking lessons on the go, in the same year, she came to the fore once again by winning 4 gold medals in the 1980 Pakistan Open National Meet at Karachi. 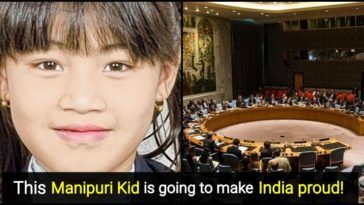 Two years later, she won a gold medal in 200m race and bronze medal in 100m race in the world junior invitation meet which is currently called World Junior Athletics Championship at Seoul. For plying the trade with grit and determination to strive for the welfare of India, she was awarded the sought after Arjuna Award in 1983 and after two more years, she was awarded the coveted Padma Shri award. She stole the spotlight during 1984 leg of Olympics in Los Angeles where she aced the 400 m hurdles heats. She set an iconic Asian record that reads 55.42 seconds which is the best even now. She finished fourth and missed finishing third by a whisker of 1/100th of a second. She was unstoppable on her path to success as she won 2 bronze medals at the 1998 Asian Track Field meet in Japan and also set a new national record for the 200m race, managing to beat her own previous record set by her before. 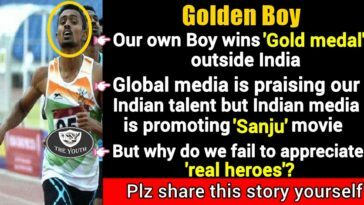 She currently holds the world record for the most gold medals earned by a female athelete in a single track meet. Much to inking as much as exuberance on the track, she was named the sportsperson of the century and the sports woman of the millennium by the Indian Olympic Association. 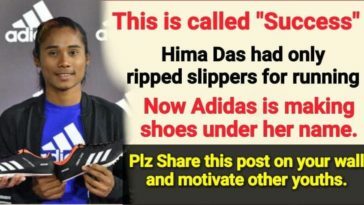 She announced her retirement in the year 2000 and after that, she opened the Usha School of Athletics where she spends as much as quality time to nurture the young prospects.